Dragon Nest is a very large and largely popular MMORPG for PCs. So naturally someone had to port it to mobile devices. And here we are with Dragon Nest M SEA (Mobile South East Asia/DNM). Yes, there are various beginner guides here and there to help get your started. But sooner or later the questions become a bit more difficult to find answers for in beginner guides. Keep in mind, Dragon Nest M SEA is huge for a mobile game. Not so much in its file size compared to the PC version. The real bulk of it is in the large amount of content the game has to offer. The beauty in Dragon Nest M SEA is not even the large amount of content. It’s really in the setup of the game. Most games lately are just a race for a power rating. Some games call it Might, others call it Combat Power, and some games call it Battle Power (BP). Dragon Nest M SEA uses the name Battle Power. Yes, you do need battle power in the game. No, it’s not required or even used in some of the content. Yes, you can still defeat content even without the recommended battle power. 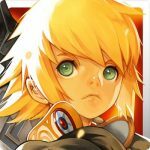 In this Dragon Nest M SEA advanced strategy guide, you’ll have the methods to gain as much as possible. Said gains include Battle Power (BP), gold, Dragon Coins (DC), and other gains. One of the more common problems in Dragon Nest M SEA is the improper setup of the heraldries. The problem is that if you don’t setup your heraldries properly, you waste slots, resources, and most importantly, BP gains via stat boosts. To properly setup your heraldries, you have to first base things on your character’s type. There’re only 2 main types which are physical and magical based attackers. From there, you base things on your character’s main stat. The 3 main stats are INT, STR, and AGI. Here’s the proper setup for each character. Warriors use STR as their main stat. Their heraldries are the same as magical based attackers but swap Wisdom and Magic for Giant Bear and Destruction. For archers and assassins, it’s the same idea as above with the warriors but they use AGI. Swap Wisdom and Magic for Gust and Destruction. The main aim for gaining heraldries is to have an all A ranked set. You can use the Refresh button in the Boss Rush to help gain them. Do note that luck is very much involved and you should not use Dragon Coins (DC) to use the Refresh button. You can gain skill heraldries starting from the Apocalypse Nest. Those would be B ranked. If you salvage the B ranked skill heraldries, you gain resources to buy A ranked skill heraldries from the skill heraldry shop. You can use the skill heraldries starting at level 45. Only use skill heraldries that are for the skills you have equipped. Otherwise, you’re only wasting the slot. You can unlock the outer skill heraldry slots using DC. Only do that if you have DC to spare and if you’re getting skill heraldries you can use. Being in a guild is one thing and is a very easy 1 click process. Being in a good guild is another story all together. But once you’re in a good guild, it’s entirely on you to maximize your gains while you’re in there. Most would want to be in the top ranked guild. However, that doesn’t always make for a good fit for you. Some might find that being in a certain guild is too demanding one way or another. One of your better bets in Dragon Nest M SEA is to be in one of the top 20 ranked guilds of the server you’re in. But even at that, you’ll still have to check it out for a day or 2 before fully “investing” into the guild you joined. Mostly what you’re looking for is how active the guild members really are. If you land yourself in a guild with very active members, count yourself as lucky. Do yourself a favor and play with them. Unfortunately, many guilds are “parking lots” for players that don’t seem to know any better. The typical case is that guilds ranked in the top 20 don’t have too much of that. In order to maximize your gains while in a guild, you simply participate as much as possible. This includes all the guild events and the World Boss (WB is daily). Maximize all your boosts in the Skills section (BP increases anyway). Sign-in each day with Dragon Coins (it can get costly but you’ll gain better) even if it’s not required by the guild. Donate as much as you can to other guild members. All of these things can gain Guild Contribution points, among other things, which can be used to buy items from the guild shop. Said items include various upgrading items so you can increase your battle power. The fun part about being in a guild is that you can meet a lot of other players. It can be very helpful towards your Dragon Nest M SEA “career”! The not so fun part is really upsetting them by buying medals from a guild auction. Take a look at the screen shot above. Most guilds will put that part about “NO BUYOUT” in the Guild Announcement. And yes, most of them mean it. It’s considered as extremely rude if you buy a medal from a guild auction. This is because anyone can do it even if they were not in the associated event. All the others did all the “work” in the associated event just to have no chance at the medals because someone outright bought them (not cool). The recommendation is that you don’t do that. Much of that recommendation really comes from you spending too much just to buy a medal from a guild auction. Many guild officials will even chat about you (negatively) in the world chat after kicking you from the guild. Do yourself a favor and bid only during the guild auctions. That makes the medals fair game. The squad is found in the Friends section. A squad is like having a mini guild. It’s limited to 15 players. Hopefully, said 15 players are active. It costs 500 DC to start a squad. You can post invites to your squad as the Squad Captain in the world chat. The players can be in any guild of the server. Of highest recommendation is that the members of your squad are all also your guild members. The gains start with the Activity Rewards showing in the bottom right of the above screen shot. 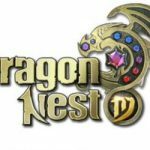 The points are gained daily from simply doing your usual daily Dragon Nest M SEA activities. So it wasn’t adding more things to do. The squad you’re in was just giving you more bonuses for doing what you already do! To drive the point of being in a squad in more, if you team with your squad members in the Dragon’s Lair a certain number of times, you’ll gain even more bonuses. They’re found in the Challenge Reward section. The Challenge Rewards reset once per week so you do have time to set things up. One of the more interesting things found in the Squad Shop are the peach seeds. No, the peach seeds are not the best item for sale in there! As it turns out, Dragon Nest M SEA has a marriage setup. Yes, you and another player are married in the game simply by gaining the requirements found at Eros the Little God of Love. No, this is not a lifelong commitment. No, you don’t really have to “be ready for it”. No, you’re really not too young/old to get married in a video game! Yes, there is a divorce setup too! No, you can’t make or buy babies in the game! Yes, there really are female players in the game for those not interested in a “bromance” even though there never really was a “bromance”! No, you don’t have to know each other in real life. As face palm inducing and/or amusing as these things may seem to anyone, you’d be 100% amazed at how many times they come up in game (really not kidding). So there’re your answers. In the above screen shot, you see the married couple KungfuJohn and KungFuJane. Yes, they just so happen to be a married couple in real life (not a requirement for Dragon Nest M SEA marriages). Yes, they are married twice in the game (using other characters). And yes, they gain like crazy due to the Mate Activity rewards. The trick to it is that even if 1 of the couple doesn’t even log in for the week, the other can still gain all the Mate Activity rewards. The Mate Activity rewards reset once per week. When you put the guild, squad, friend, and spouse rewards together because everyone is cooperating, the gains can be impressive! The idea to most of this is to be able to boost your battle power. But it won’t hurt anyone’s feelings to gain extra DC, gold, and just about anything else a player can get their hands on. The fun part is that it doesn’t stop here. 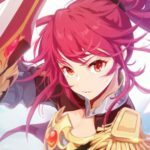 You may or may not have noticed that some, even your own characters, are leveling at incredible rates and some are not. The good news is that the best method is incredibly easy. Most don’t even realize it! The bad news is that you will get caught by the BP problem. The BP problem happens when you level too quickly. Your battle power can’t match the content requirements of Dragon Nest M SEA. Your resources never had a chance to keep up either. Both were never given enough time to do so. So why level so fast? It’s because fast leveling helps you test characters. For those who want to test characters, you have to be able to level the characters quickly because most of that testing will be on its skills. The speed at which you level is determined by the age of the server. Literally the older a server is, the faster you’ll level when you make a new character in it. The easiest method to spot a server that is old enough is to look at how many other servers are after it. Take the example of the server SEA70. If you see 4 or more servers after it, you should be able to level very quickly in SEA70. Don’t worry too much about the BP problem. If the setup you made in an older server is something you truly like playing with, you can fix the BP problem with time. That or spend real money! The home in Dragon Nest M SEA is not just where your heart is, it’s also a source of income. True, it can also be a pretty sizable drain of your gold and DC but that’s still just fine. You need the home to do your farming and fishing. The cooking can be done anywhere. Your main gains are determined by what you cook. In turn, those foods can also allow you to host a banquet. The foods can also provide boosts, complete quests, and help others (donating is important). The banquets allow you and 3 others to gain gold and Dragon Coins after a short time of “eating”. The question is; how do you level up your cooking quickly to be able to host a banquet? In order to host a banquet, you need to have level 4 cooking. 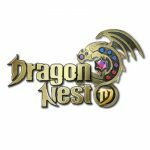 In Dragon Nest M SEA, you don’t need to have the hidden recipes to be able to have all the requirements for the first banquet. You will need to gain the level 5 recipe for the second banquet. Anyone will quickly find out that it’s not so easy to get to level 4 cooking. The required EXP is rather high. The main strategy to level your cooking quickly is to stop relying on foods that require fish. Yes, you should do your fishing when you have 100 bait or more. And yes, that’s an Easter egg in the home water in the screen shot above. To find it, look at the screen shot in the squad section above. When you look at the cooking options of Dragon Nest M SEA, you’ll want to take care of your donation type foods first (daily). Next are the foods that do not require fish to make. Bread, Jam and Bread, and several others qualify depending on your cooking level. Plant your 30 minute seeds (time until you can harvest them) when you first sign into the Dragon Nest M SEA for the day. Then go play as always or go fishing (either way). Plant your 5 hour seeds if you’re done with the 30 minute foods. Remember that the events of the day are spread out throughout the day. When you return for the events later in the gaming day, you can plant more 30 minute seeds or the 5, 8, or 10 hour seeds. Those will be ready for the next day. Be SURE to reserve at least 1 planting plot for 48 hour seeds. One of your best bets is to spend at least 500 DC to open 1 planting plot. Spend 1,000 DC to open the other planting plot if you have DC to spare. The rest are gained via leveling your character. Of course you can make the other foods when you have extra ingredients. But some of them can be helpful towards your cooking level anyway. Take for example Eel Rice. That’s up to 900 EXP towards your cooking daily. Carrots provide 1,250 EXP daily. If you have DC to spare, you can buy the eels. Food for your fairies is no slouch in the helping you department. Fish Stew, Braised Noodles with Carp, Sesame Soba, and others can provide damage and defense boosts for 24 hours. Yes, some foods are specific to certain content. So be sure to read the food’s description first. When it comes to your skills in Dragon Nest M SEA, what you use makes a massive amount of difference. Not just in the all-around gameplay, but also in your battle power. The question is; which skills do you get for your character? The answer was in fact starring you in the face this entire time! It’s all of them for your character. In the screenshot above, you’re seeing a very wrong setup. The idea is correct where you should get the skills you like first. But don’t leave skills unlearned. When you do have extra skill points after gaining the skills you want to use, use the remaining skill points as much as possible. Even if you don’t equip the skills, learning them gains you BP. Yes, you can simply leave the unused skills on level 1. The part you should also be paying attention to is the Switch Skill Tab II in the bottom left corner. This allows you to quickly switch skill setups. This comes in handy for players that like a certain skills setup for PvE content and PvP content each. Much of that depends on the character you’re using and what you know of it. But when you do use this strategy, firstly you have to remember to switch back and forth as needed. Equally important is seeing changes in your BP when you switch tabs. Any changes in BP when you switch tabs are determined by the skills in use and your skill heraldries. Here are some examples of this skill switching for a couple different characters. The first example would be the clerics. If you use Shield Charge in PvP, you might find it very useful. But in PvE content, you might miss a lot of targets or run way off course. The use of Provoke in a PvP situation is pointless since your opponent(s) will already want to attack you! The level 40 special skill of the clerics does last 15 seconds in PvE content but not so much in PvP. Now look at the skills of Kali. Don’t expect the opponent(s) to purposely stand on your damaging skills! But most mobs won’t know any different! In a case such as Kali, you only need to switch 1 or 2 skills and you could be fine. Something like that won’t really need a whole other tab to set things up! And this wraps up our advanced strategy guide for Dragon Nest M SEA. We hope you’ve enjoyed this one and if you know additional tips or tricks for the game, feel free to drop us a line in the comment section below! this is so helpful … thank you….